From Heaven to a fair approximation of Hell. 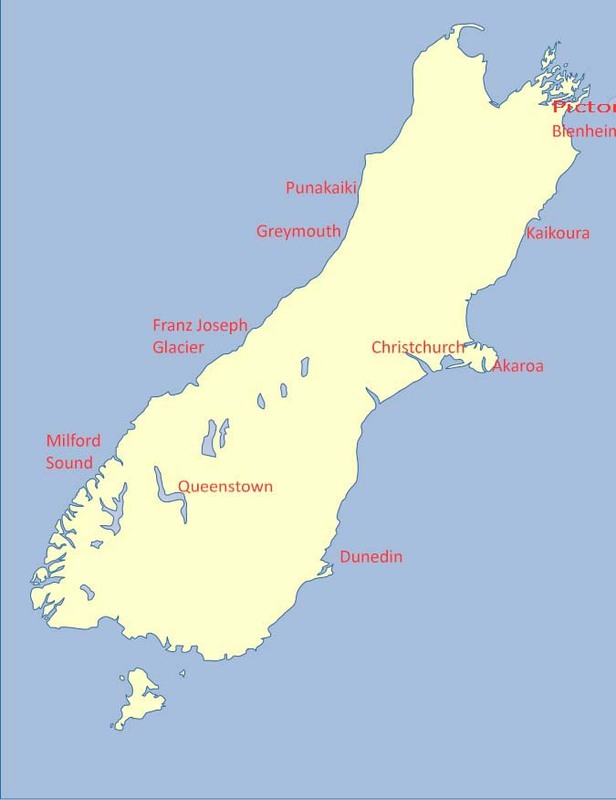 We must now journey from Blenheim to our next destination (pre-booked and paid) at Akaroa at the tip of the Banks Peninsula south of Christchurch. It is a fine sunny day. The temperature is 25 °C and the car is carefully loaded, fuelled to the brim and raring to go. 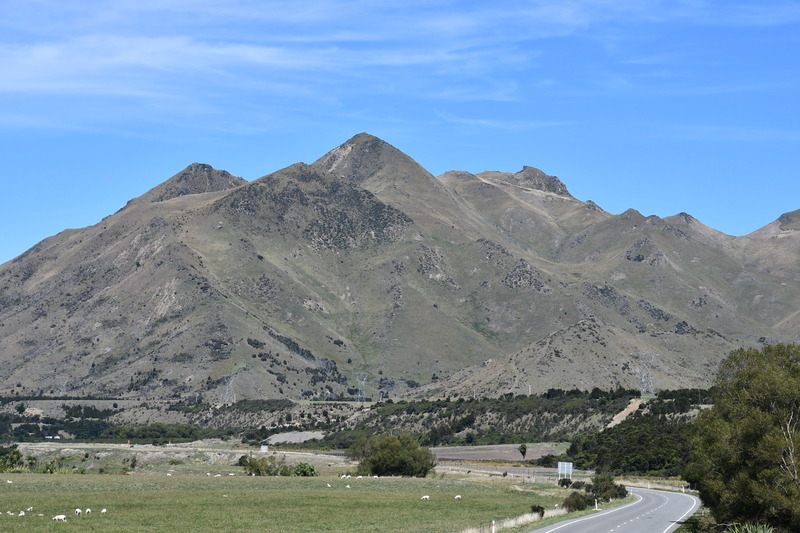 What should have been a straight line south down the Highway 1 east coast road, is now a huge detour inland , through the mountainous Buller Region, and the Northern Canterbury plain to Christchurch. This route takes us around the obstacle of the New Zealand Southern Alps. 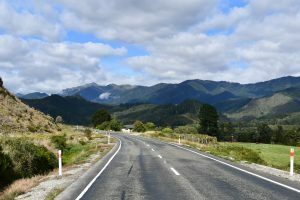 The early journey follows the Wairau river past numerous vineyards but soon becomes mountainous, serpentine, busy with other diverted traffic and peppered with road repair sites needing stops for “lollipop men” with “stop /go” signs, and slow crawls on stone-chip, newly surfaced sections of road. I will not dwell on this horror save to announce that we arrived, exhausted at our destination, 8 hours and 540 km later. It shouldn’t have been like this but there was no alternative. It is a pity that we were so tired, as the last 80 km from Christchurch to Akaroa is a delightful section of road which at first skirts, then mounts the spectacular volcanic cone which comprises the Banks Peninsular. We have a “carpet picnic” on the house balcony, devouring the sandwich lunch we should have had en-route but didn’t, and retire to a long, near-death sleep.